David R. Gang is a Professor in the Institute of Biological Chemistry at Washington State University, where he is also the Co-Director of the Murdock Metabolomics Lab and the Director of the Tissue Imaging and Proteomics Laboratory. He has supervised 18 post-doctoral researchers, a dozen graduate students, and over two dozen undergraduate students in his lab. He joined the startup company Botanisol LLC as the Chief Science Officer, which is developing new anti-inflammatory agents identified in medicinal plants. Dr. Gang earned his B.S. and B.A. degrees in Botany/Plant Molecular Biology and in Germany Literature at Brigham Young University and his Ph.D. at WSU. He did post-doctoral work at the University of Michigan. 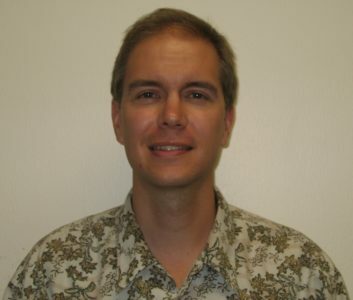 His first faculty position was in the Department of Plant Sciences and the BIO5 Institute at The University of Arizona. He has been in the IBC at WSU since 2009. He has earned several awards, including the Benson Presidential Scholarship at BYU; the Loyal H. Davis Graduate Student Fellowship at WSU; the Sokol Post-Doctoral Fellowship in the Sciences from the Rackham Graduate School, UM; the Arthur Neish Young Investigator Award, PSNA; and the Young Investigator Award in Plant Genome Research from the United States National Science Foundation. He has served as President of the Phytochemical Society of North America. Dr. Gang’s research is instrumentation- and technology-intensive and involves an interdisciplinary approach, with a distinct post-genomics emphasis. 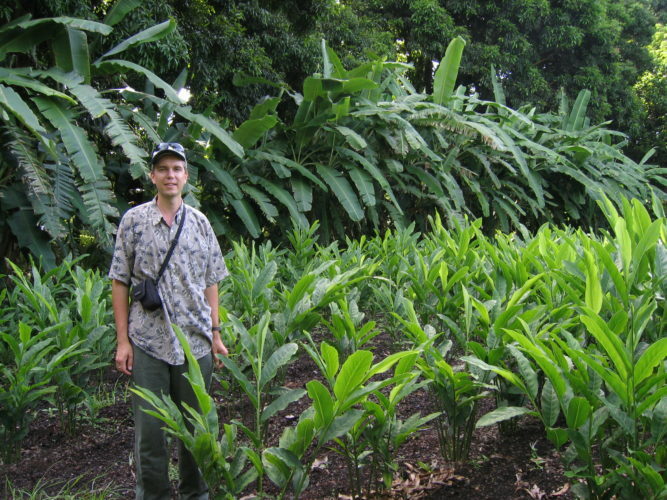 A major ongoing focus of the research in his lab seeks to elucidate the biosynthetic pathways that produce novel and important specialized or “secondary” metabolites in plants, to uncover the mechanisms responsible for the evolution of these pathways in the plant kingdom, to understand the function of a given natural product/metabolite in the biology and physiology of a given plant species, and to develop the tools needed to analyze metabolites and their functions in complex biological systems. He is also very interested in identifying mechanisms responsible for controlling the development of plant cells and tissues that have evolved to produce high levels of such metabolites, such as glandular trichomes and storage rhizomes. His research often focuses on the intersection between basic plant biology and its application to agriculture, human health, and bioenergy, leading to several major research areas in his lab. The first area involves the identification of the means by which medicinal compounds are produced in plants and other organisms and how these processes could be utilized to produce specialty chemicals either in crop-based or fermentation based systems. The second involves efforts to understand how metabolism is regulated, leading to partitioning of energy and carbon to different biosynthetic pathways in plants, with potential applications related to production of specialty fuel additives or development of new plant and algal strains for bioenergy production. The third involves understanding how invasive plant species are able to out-compete other organisms, with applications related to control of major weedy species around the world. A fourth area of research includes efforts to develop the means to control the spread of serious plant diseases, such as citrus greening diseases, transmitted by psyllids. These efforts are described in more detail on the CLCC Project website. The fifth area of research in his lab includes efforts to identify new target molecules for drug application, from a wide variety of organisms. The most productive approach in these areas is now a multidisciplinary approach—which utilizes the best tools from the fields of chemistry, biochemistry, molecular biology, genomics, proteomics and metabolomics. Dr. Gang’s favorite contributions to the “work” in his lab include field trips to exotic locations to collect biological samples for analysis back in the lab. That includes collection of ginger family tissues from the rain forests of Hawaii and Puerto Rico, and microbes from marine sediments around the world. He has quite the sand collection. David visiting an organic ginger farm in Hawai’i.